Netflix always knows what you want to watch. Netflix usually knows what you want to watch before you do! The moment you log into your account, the on-demand video service flashes a highly personalized homepage, enticing you with shows you may have started but never finished, suggesting movies that may be up your alley, and inviting you to check out a curated list of new releases. And you know what? It works. They hook us every time by giving each one of us a highly customized, personal experience. Personalization has become an increasingly crucial aspect of marketing efforts, especially for brands in the mobile marketplace. According to Contently, 80 percent of marketers found that consumers preferred such personalized content, making it overall more effective than that of the alternative unpersonalized messages. This not only enhances consumer loyalty by acknowledging the user’s individuality, but also dramatically increases engagement by presenting content relevant to each user. Standardized messages no longer cut it: 63 percent of consumers are annoyed by repetitive, standardized advertising messages. Users do not simply desire personalization but demand it, dismissing businesses that fail to distinguish individual profiles. 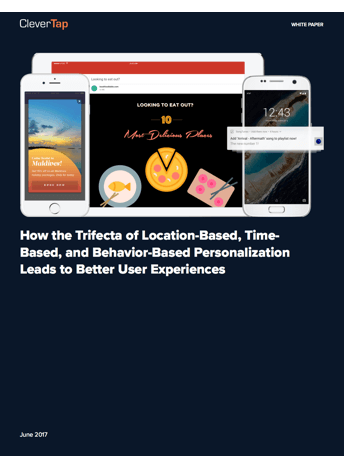 Take a deep dive into– time-based, location-based, and behavior-based personalization. Check out for tips and tricks to significantly enhance your brand’s user experience. With 75 percent of consumers asking retailers to use personal information to improve their experience, personalization seems like it should be a given. And yet, while 39 percent of marketers insist that personalized emails based on triggers are the most effective method for improving email engagement with consumers, only 20 percent of email marketers utilize it. Shockingly, the majority of brands miss out on the most effective user retention tool. No one understands this better than the engineers, working vigorously to gather customer information in efforts to personalize the user experience. By applying data science and machine learning, Netflix has created a comprehensive algorithm that serves as a recommendation engine, allowing users to “discover” content that they enjoy but would otherwise likely never find. The recommendation engine efficiently and effectively intuits a user’s preferences, highlighting hyper-specific categories of content from its vast library. Demonstrating its commitment to tuned, high quality personalization, Netflix continually invests in efforts to optimize its algorithm. Luckily for Netflix, the effects of their efforts have not gone unnoticed. 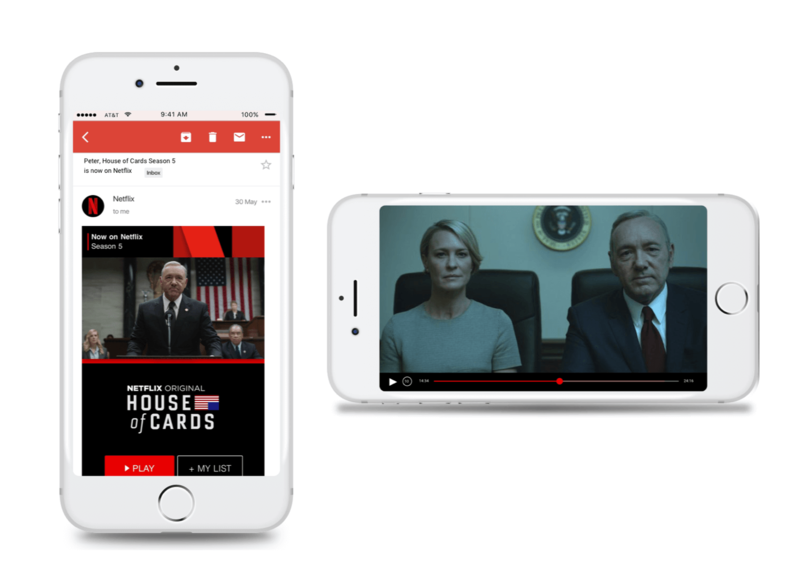 Keeping users happy with extensive personalization efforts, Netflix has profited from increased viewership, decreased subscriber churn, and longer viewing times, resulting in the streaming giant saving $1 billion per year with its recommendation engine. With their research into recommendation engine technology and new machine learning, Netflix has paved the way for content discovery systems. The bottom line: personalization pays off. Netflix is a testament to that fact, and so are brands such as Amazon, Google, Spotify, YouTube, Target, and Airbnb. At its core, personalization can be broken down into 3 types: time-based, location-based, and behavior-based. For your brand to succeed, you must recognize when the mood strikes, meet users where they are, and get to know who you’re dealing with. The strategy offers an amassment of riches, but only to brands that learn how to take advantage of its assets.